Format erase and Unmount memory SD card in Android. Format in terms of computer or Mobile storage means, erasing all the data of that drive. 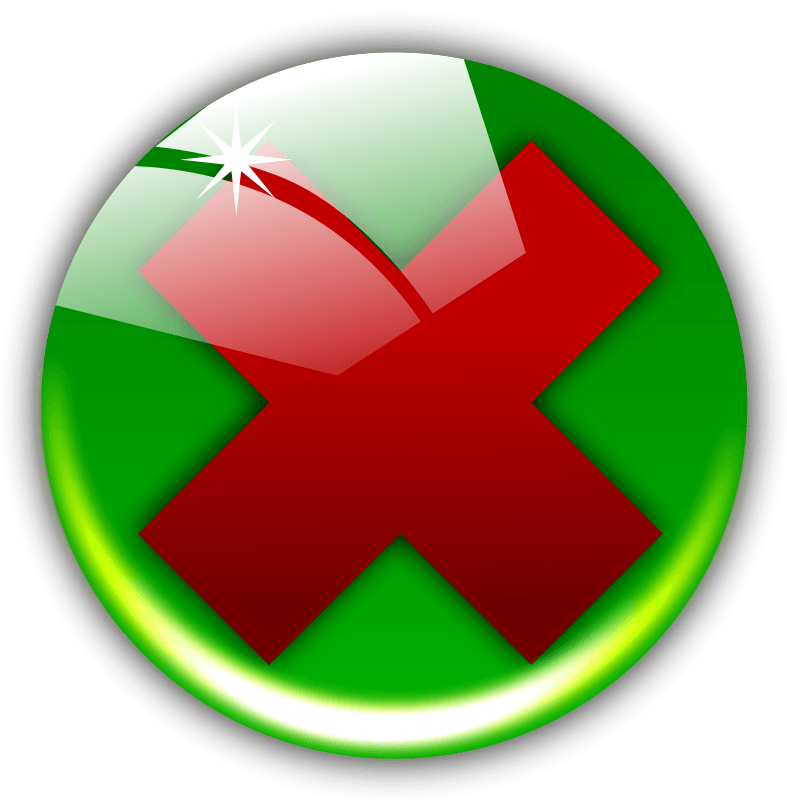 Note, While you format a SD card or memory card, you will lose all the data stored in the same, and it can’t be backed up. So i recommend you, to back up your SD card or memory card of android in your laptop or desktop, if your SD card is not corrupted(One of the reason to format memory card). Typically, to format SD card of Android, you would Unmount the SD card and with the help of Memory Card reader, you can format your SD card with Computer or laptop. But Android provides direct option to unmount and format or erase the memory card data by just following simple steps provided below. 1.) Press Menu and navigate to Settings. 2.) Scroll down in the setting menu and look for the options as “Storage” or “Memory” or “SD & phone Storage” and click on that. 3.) 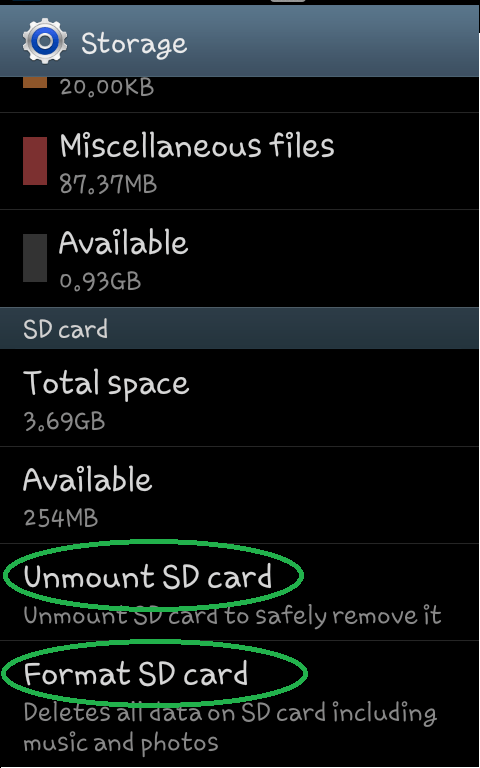 Now you may see options to ‘Format SD card‘ and to ‘Unmuont SD card’. Before Unmounting(Removing) SD card, press format Sd Card, and let the process of formatting memory card be finished. 4.) Click on Unmount SD card. Now its safe to remove your memory card safely. If this not work for you to format SD card in Android, then just remove SD card and with the help of memory card reader, format the same with your computer or Laptop. Your valuable comments and suggestions are welcome. 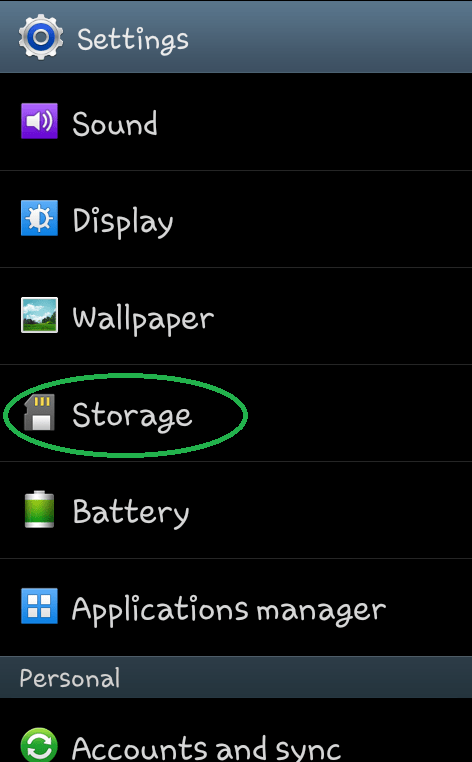 while cilcking on erase all on sd card on my micromax a11, it is asking for password. SD card unable to format ……please help me…. If I format my card it was shown all data deleted successfully in card but after i switch off and on my mobile it will be automatically backup all my data,how to delete permanently all data please help me.